Natalia Molinero completed a new circus mural at the Circódromo in La Paternal a few days ago. The mural is located in the courtyard of the circus training school and it features a colourful collage of clowns and performing characters. King Jong-un riding a devil dog is the latest cool mural by Elmar Karlar in Buenos Aires. The German artist completed his last work in Caseros featuring the controversial North Korean leader this week and he has called his new design ‘The Baby Dictador’ (el dictador bebé). 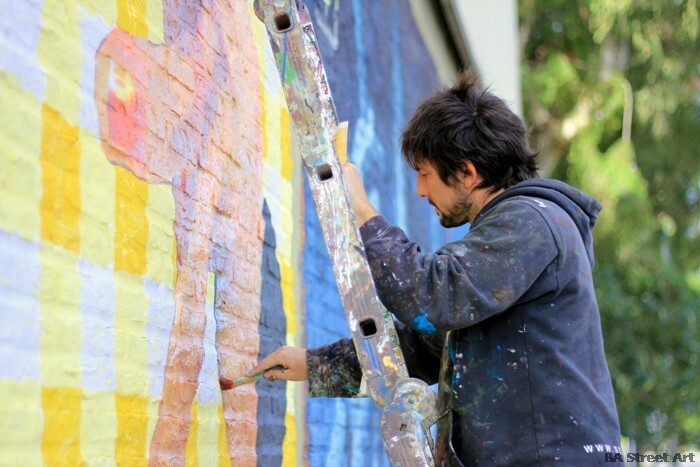 Street artists Sabotaje al Montaje, Richar, Sau and Lar from the Canary Islands and Elmar Karla from Germany got together with Argentine artists Martín Ron, Emy Mariani and Anita Messina to paint a warehouse together in Caseros, Buenos Aires. 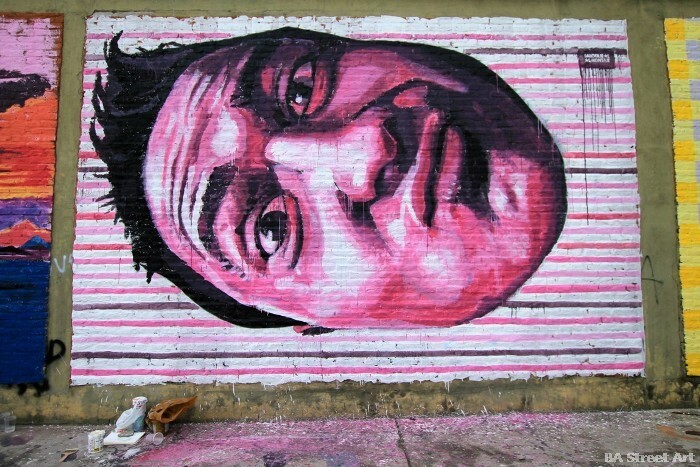 Colombian street artist Loto completed a new surreal mural in Nuñez this week. A pseudo human being is reading while growing roots. An utopic composition about knowledge.